When our children are young, we can find dozens of resources suggesting the best vaccination schedule. Those early years seem to be filled with countless trips to the pediatrician. But as we age—or if you’re caring for an aging loved one—it may be more difficult to know exactly when to have certain check-ups, tests, or vaccines. 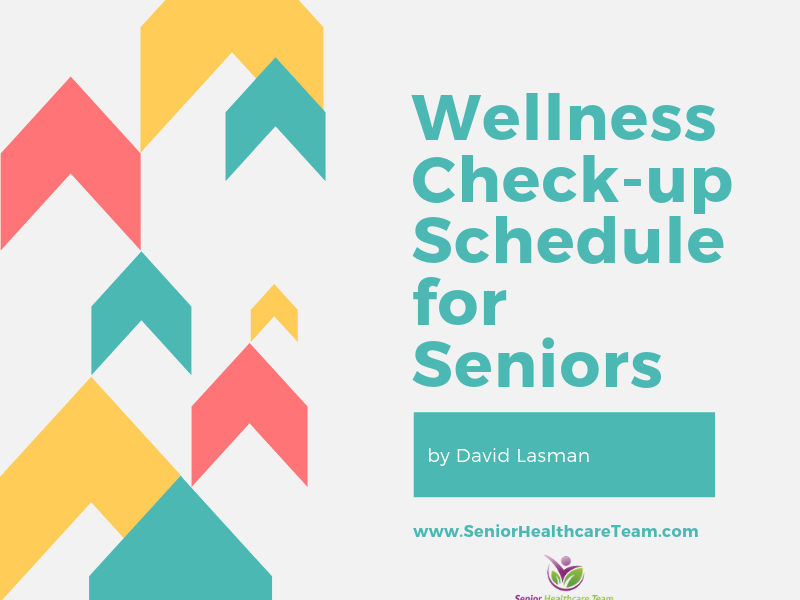 Senior Healthcare Team put together this handy Wellness Check Up Schedule for seniors based on information provided by Medicare, the CDC, and other authoritative resources. At this time, you should discuss other necessary medical care, screenings, or preventative health measures. There are some health screenings both men and women should have, and others that are gender specific. Men over 35 and women over 50 should have their cholesterol checked every five years. For women a doctor may recommend a PAP test every five years and a mammogram every one to two years, depending on a woman’s risk factors and family history. Similarly, men over 50 should have a prostate cancer screening as often as their primary care physician recommends. · Every 10 years, men and women should receive a tetanus-diphtheria vaccine. · Flu shots are recommended annually for seniors and other at-risk individuals. · Adults over the age of 65 likely need a pneumococcal vaccine at least once in their life. Individuals who are immune suppressed or have allergies should speak to their physician before receiving any vaccinations. Seniors on Medicare are entitled to an initial “Welcome to Medicare” visit. Your primary care physician will spend time getting to know you, your medical background, and family history through a Medicare-approved questionnaire. Seniors are also entitled to one free wellness visit a year with no co-pay or deductible through Medicare Part B. Although adults of all ages should visit their doctor at least every two years for a wellness visit, this Medicare-approved annual visit is a good opportunity for seniors on Medicare to ensure their health is on track.